In the News – STV Report. Our project is in the news. 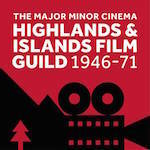 Watch Emma Murray’s report for STV News on our research into the Highlands and Islands Film Guild.